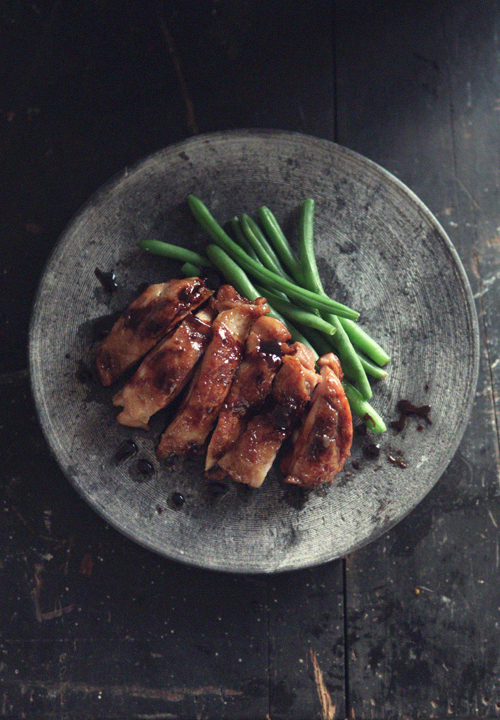 “Teriyaki” is probably the most popular and well-known Japanese sauce. This delicious sweet and savoury sauce goes especially well with chicken, salmon and tofu. Combine the soy sauce, mirin, sake and sugar in a bowl. 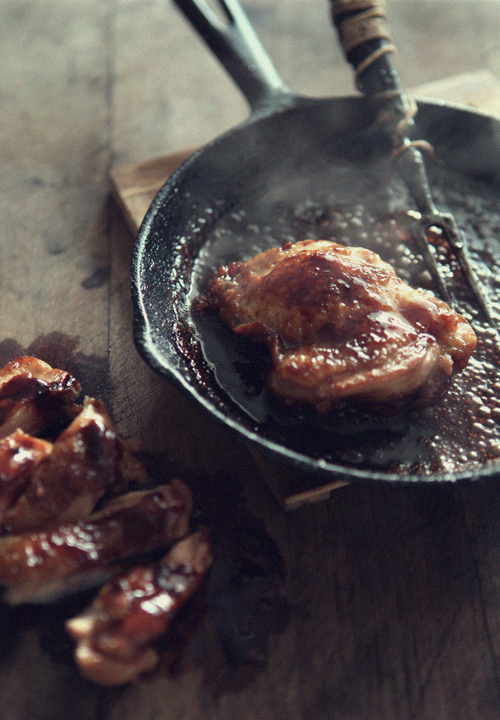 Heat the oil in a frying-pan, lay the chicken, skin side down, and fry over a medium heat until skin is browned. Turn the chicken and cover the frying-pan and steam cook the chicken over a low heat until cooked through. Pour the sauce in the frying-pan, turning the chicken several times to coat well with the sauce, cook until the sauce became thick. Cut the chicken crosswise into 3/4 inch slices. Serve hot. You are currently reading Chicken Teriyaki at Fish Trip Cafe.